Want to hold an event at GAB? Green Apple Books holds events in both of our locations. On Clement St. (506 Clement St.) we tend to focus on local writers and more intimate gatherings. Our events coordinator on Clement St. is also responsible for handling larger out-of-store events. Books on the Park (1231 9th Ave.) is our primary event space for more established authors. We host over 100 authors a year and in the past we've hosted writers like Karl Ove Knausgaard, Rachel Kushner, John Waters, and more. 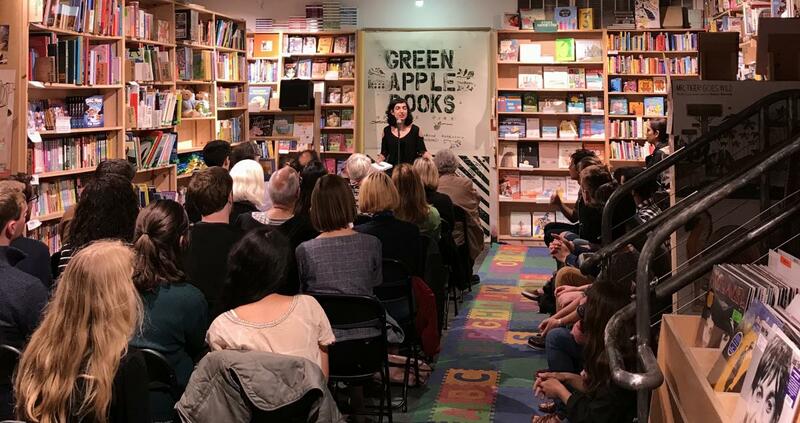 If you are interested in holding an event or have a question about off-site sales please contact events@greenapplebooks.com. For more information on how to pitch an event to Green Apple, please see our event guidelines.